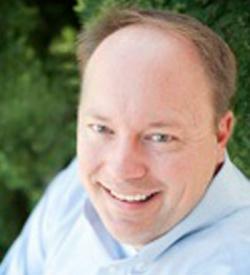 Mike Ames leads SAS’ Data Science and Emerging Technology Product Management group. Mike started the group in 2011 with three PhD statisticians and a graduate intern, initially focused on SAS’ in-memory technologies and integration with Hadoop. Today the group has grown over 5 fold and includes a global research and development team focused on brining new emerging technology from SAS to market and a Data Science group tasked with research, benchmarking and development of machine learning methods and cognitive computing techniques using SAS’ latest in-memory technologies. Since joining SAS in 2002, he has been involved in brining nearly a dozen products and solutions to market for SAS. His group’s current areas of focus include real-time surveillance and investigation tools for fraud detection, cognitive computing for business intelligence, Hadoop integration and cloud computing. Mike holds a BBA in economics and did his graduate work in computer science at the University of Georgia and earned an MBA from the University of North Carolina Chapel Hill. He currently resides in Raleigh, North Carolina.